Last night, two of us (Emma & Sara) were pleased to be invited to speak at the Society of Young Publishers’ Coding at the Castle event, along with Ben Bisset. We promised to publish some notes and provide links to the resources we recommended: here they are. Emma both wielded a stick and dangled some carrots in an attempt to provoke and inspire the full-house audience to improve their technical literacy. Here are her slides. And here’s her code-as-poetry. To run it, open up IRB (which stands for Interactive Ruby). 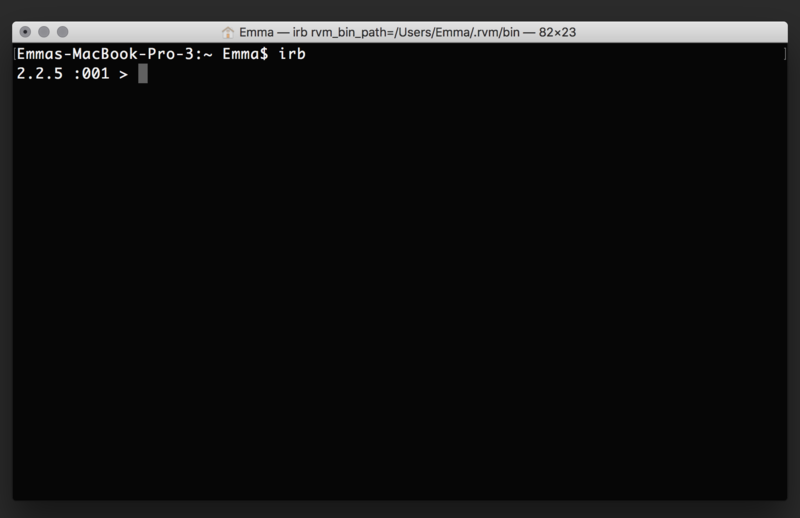 If you’re using Mac OS X, open up Terminal (Google open terminal mac ) and type irb, then press enter. If you’re using Linux, open up a shell (Google open shell linux ), type irb and press enter. Paste all the code in to the irb window. Then press enter so that the irb console can accept the code, ready to execute it at your command. You’ll see the prompt again. Paste in the following text to execute the commands. Notice if anything happens, and read back through the code to see if you can follow what happened. Sara wowed folks with code that allows Harry Potter to defeat a dementor. Here are her slides. Menial jobs are destroying your future “Word” and “Excel” are not “IT skills”. They are typing. We recruit young, pretty women (go on, deny it), and we give them secretarial jobs. Ruby Mechanize. Their guide is good. Please keep in touch and let us know how your foray into coding goes. We’ll be here for you!